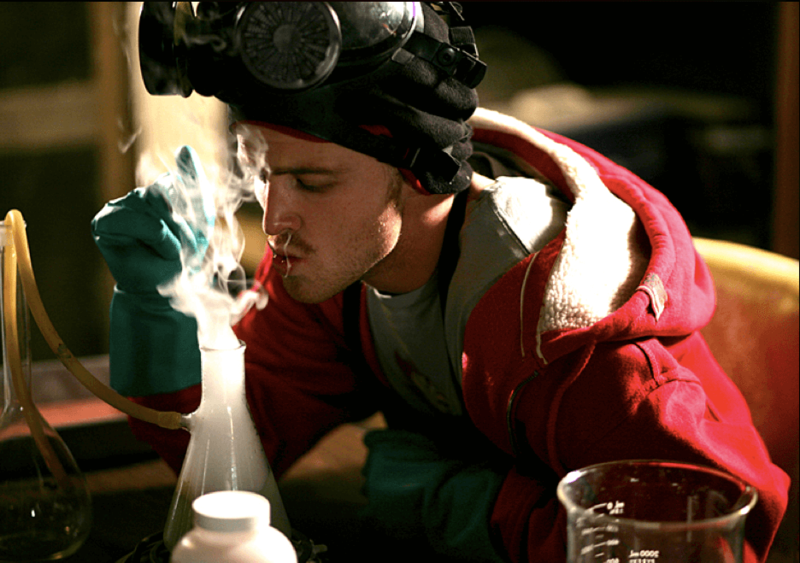 Jesse Pinkman had finally confronted him. 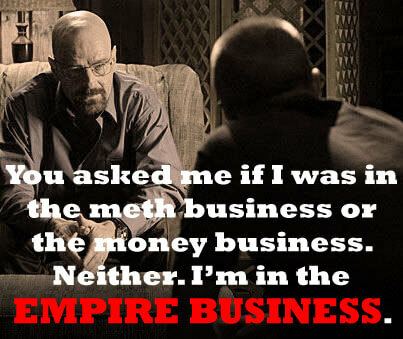 Why had Walter White become a kingpin drug dealer? Was it for his family or his ego? Or just for the money? This scene from the final season of Breaking Bad appears to be about the protagonist’s motivation, but it’s also about private company valuation. At the end of his long speech, Walter had inadvertently highlighted the three main types of private companies, proving that he understands the topic better than many finance students. There is so much misunderstanding about private companies that I’m torn about how to approach the subject, but let’s start at the beginning: the mistaken notion that being private makes a huge difference. And if you prefer to read, see the full text below. These examples and explanations are all taken from the private company valuation module in our Financial Modeling Fundamentals course. One case study is based on Kakao and Daum, two Korean technology companies that merged, and another case study is based on a valuation of this M&I/BIWS business. You can refer to Module 14 in the course outline for details on exactly what’s included (condensed version here). Would you value Ikea, a private company with 155,000 employees, and your local barber shop, a private company with two employees, the same way? You can’t buy either company’s shares in the stock market, but that doesn’t matter. What does matter is that the barber shop is small, has a single shareholder, is highly dependent on its owner, and is not a “going concern” in the same way as Ikea. If the owner gets hit by a truck, the barber shop is done; if one of Ikea’s managers gets hit by a truck, no one notices. Besides these “small businesses,” there are several other categories of private companies, including venture-backed startups and “large” private companies like Ikea and Cargill. Before you can learn “private company valuation,” you have to understand these three categories first. Money Businesses: These are true “small businesses” that are dependent on the owner, who tends to be highly involved in day-to-day operations. Examples include a barber shop, a doctor’s office, M&I and BIWS, and any company with “Wall Street” in its title. These companies are being run for cash-flow purposes: the owner intends to work hard for 10-20 years, save up money, and then “retire,” or at least work less, in the future. He/she has no interest in selling, going public, or taking money from investors. Meth Businesses: Most tech startups, especially younger ones, are in this category. They aren’t being run for cash flow purposes: they want to get big quickly. Examples include WhatsApp, Instagram, and Tumblr before they were acquired. Just as Walter White wanted to disrupt his competition from the Mexican drug cartels, these companies also plan to disrupt incumbents in multi-billion dollar markets. The goal is to build a management team, a Board of Directors, and a corporate structure that allows the company to go public or be acquired for hundreds of millions or billions of dollars. Empire Businesses: Most private companies that are not venture-backed startups and not small businesses fall into this category. Examples include Ikea, SAS, Cargill, and Koch Industries. These Empire Businesses are more like public companies because they have large and diverse management teams, Boards of Directors, and strong controls and processes. Unlike Money Businesses, these firms will not die if the owner or founder leaves; unlike Meth Businesses, these firms are profitable and could be public if they wanted to be. They choose not to be public because they don’t need capital, and they don’t want to deal with investors. You see the biggest valuation differences with the Money Businesses. You can’t value a 3-person consulting firm the same way you would value McKinsey: you have to apply extreme discounts because of its dependency on those three people. You also see valuation differences with Meth Businesses, but since the goal is to become a large, diversified corporation, the differences may not be quite as dramatic. And you see the fewest differences with the Empire Businesses. You might calculate certain items like WACC and Cost of Equity differently, but since these firms resemble large public companies, their valuation does as well. Before you value any company, you need a correct version of its financial statements. “Correct” means that the statements should follow IFRS, U.S. GAAP, or local GAAP in your country and that revenue and expense line items should be classified properly. For Meth Businesses and Empire Businesses, these points should check out because these companies should have proper controls and accounting systems in place. With Money Businesses, however, you run into many issues. No Compensation for Myself – It appears that I have a 40-50% operating margin because my compensation is not included. That’s because I pay myself a “dividend,” which is listed on the Cash Flow Statement instead. Intermingled Personal and Business Expenses – Many business owners deduct travel and entertainment as “business expenses,” but someone looking at acquiring the company wouldn’t accept that. Taxes – Small businesses are taxed at the owner’s personal income tax rate in many countries, but an acquirer would adjust this rate to reflect its corporate tax rate. Small-business owners create these “non-standard” financial statements because it helps them plan more effectively by using more meaningful categories. The owner’s “dividend” has been re-allocated into Income Statement expense categories here, and we’ve fixed the other issues mentioned above. You still use the same valuation methodologies you use for public companies: comparable companies, precedent transactions, and the DCF. There are some methodologies you cannot apply to private companies: one example is the premiums analysis, which values a company based on the share-price premiums that buyers have paid for public sellers. For example, if buyers have paid a 30% share-price premium for public sellers over the past five years, and your company’s share price is currently $10.00, then you might conclude that it’s worth $13.00 to a buyer. This approach won’t work for private companies because they do not have share prices. But on the whole, the valuation differences lie in the mechanics, not the methodologies. You still select comparable companies in the same way: screen by industry and size. However, you can’t take these multiples at face value. A small business with under $10 million in revenue can’t be compared to a $400 million revenue company with physical campuses and hundreds of employees. So you almost always apply a private company or “illiquidity” discount, which often ranges from 10% to 30%, to these multiples. If the company you’re valuing is more of an Empire Business, you might apply something small, like a 3-5% discount, to account for its lack of liquidity. You might use the same approach for Meth Businesses, but it depends on the purpose of the valuation as well. For example, if you’re valuing a venture-backed tech startup for its Initial Public Offering, you might not apply a discount at all because it is about to be public. But if you’re estimating what a private consortium or individual buyer might pay for the company, you might still apply a modest discount for the same reasons. The buyer assumes a lot more risk by acquiring a private company, even a large and diversified one, and you have to account for that risk via lower multiples. These prices reflect the acquisitions of entire companies. The concept of liquid vs. illiquid applies to individual share purchases, not entire companies. Also, most sets of precedent transactions include a mix of private and public sellers, so you might over-compensate even if you believe an adjustment is required. We still end up discounting the multiples in our BIWS valuation because the precedent transactions were all for massive companies that are not comparable. We’re making a multiple out of each company’s Monthly Active Users (MAUs) because that’s such an important metric for mobile/gaming companies. 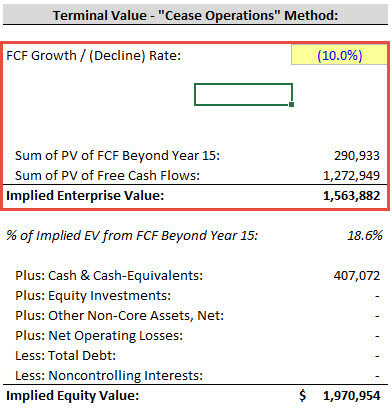 The basic idea still holds up for private companies: you project a company’s Unlevered Free Cash Flow and its Terminal Value, and then you discount both of them back to their Present Values and add them to estimate the company’s implied value. However, two problems emerge for private companies: estimating the discount rate and calculating the Terminal Value. The ironic part is that these can be big issues for public companies as well – I’ve seen a lot of wildly unrealistic assumptions for both. But they’re even bigger issues for private companies. The basic point is simple: the discount rate should be higher for a private company. That’s true for Money Businesses because there is a lot of risk when the company is heavily dependent on a few key people. But it’s also true for the others: Meth Businesses could go bankrupt or run out of VC funding, and even if you could invest in an Empire Business like SAS, your money would be locked up for a long time. Cargill employees have had issues with that one before! The discount rate also depends on the potential buyer or investors. If the buyer is a big public company with diverse shareholders, or you’re valuing the company because it’s about to go public, the discount rate will be lower because there’s more diversification and therefore less risk. But if the buyer is a single, non-diversified private conglomerate or an individual, the discount rate will be higher. Think about it like this: is it riskier for you personally to buy a restaurant or retail store, or is it riskier for a large restaurant or retail chain to do so? You take on far more risk as an individual since you’re smaller and less diversified than a huge company, so your targeted returns must also be higher. 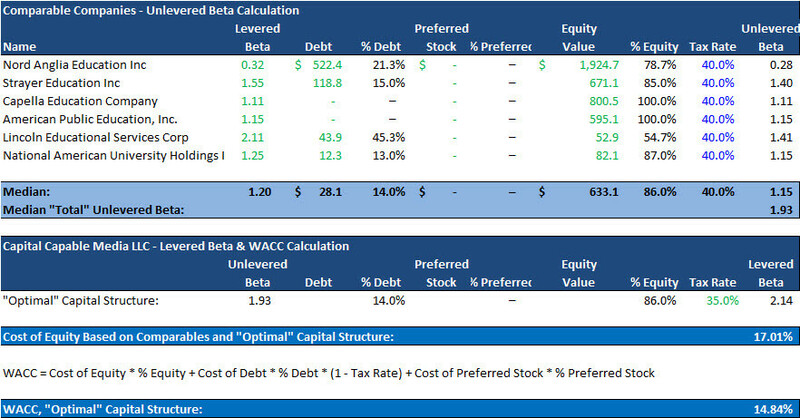 Calculating Cost of Equity and WACC by using the risk-free rate, the equity risk premium, Beta, and the company’s current capital structure doesn’t work because private companies don’t have Betas or market caps. It’s better to use the industry-average, targeted, or “optimal” capital structure rather than the company’s current capital structure when re-levering Beta, even for public companies. You could estimate Beta and Cost of Equity by using dividend growth or earnings volatility relative to a broad index instead. Or you could make the whole calculation circular and use the output of the analysis – the implied Equity Value – as the input when re-levering Beta. I don’t recommend this option because it creates an unnecessary circular reference. Beta should be higher for less-diversified buyers and lower for companies in sectors that are closely correlated with the overall market. It’s an interesting idea that we cover in the Kakao / Daum case study, but I’ve never seen someone use it in real life at a bank. Like a lot of Damodaran’s ideas, it is theoretically correct but not practical to use in real life. You might add a premium for true Money Businesses, a smaller premium for Meth Businesses, and likely no premium at all for Empire Businesses due to their size and diversification. You can calculate Terminal Value the normal way for Empire Businesses and Meth Businesses, but it’s a big issue for Money Businesses because they might die if the owner gets hit by a truck filled with venomous goblins. You could calculate TV with the Multiples Method or Perpetuity Growth Method and then cross-check it by calculating the implied multiple or long-term growth rate. The exact discount is highly discretionary and comes down to what your MD or Partner wants. This idea is simple: even if a business fails, its assets will still be worth something. So just like you might value a distressed company with a Liquidation Analysis, estimating each asset’s market value and then subtracting the liabilities, you could do the same thing for a Money Business. This method is more realistic and conservative, but you also have to project the company’s Balance Sheet far into the future. Fred Wilson hits upon this point in an excellent blog post where he discusses how most entrepreneurs calculate ROI incorrectly: they assume their business will last forever. But that’s not true even for huge companies: think about how much the S&P 500 has shifted over the past 50 years, and how many companies have gone bankrupt in that time. And it’s certainly not true for Money Businesses that depend on one person. The advantage is that you don’t have to worry about Terminal Value or the appropriate discount factor at all. The disadvantage is that now you have to estimate how many years it will take for that goblin-filled truck to kill the owner. 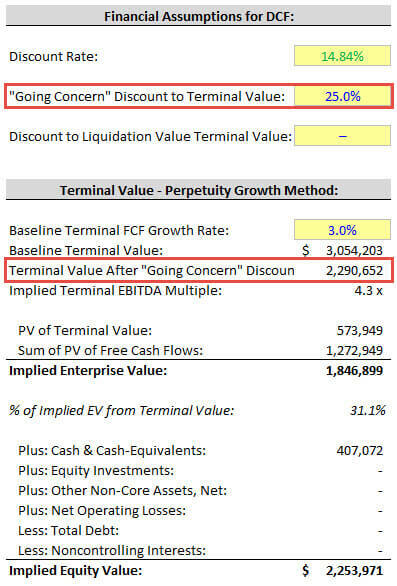 The Bottom Line on Terminal Value: You calculate it in the standard way for Empire Businesses and Meth Businesses, but for Money Businesses you need to discount it heavily, skip it altogether, or make a more conservative estimate for it. 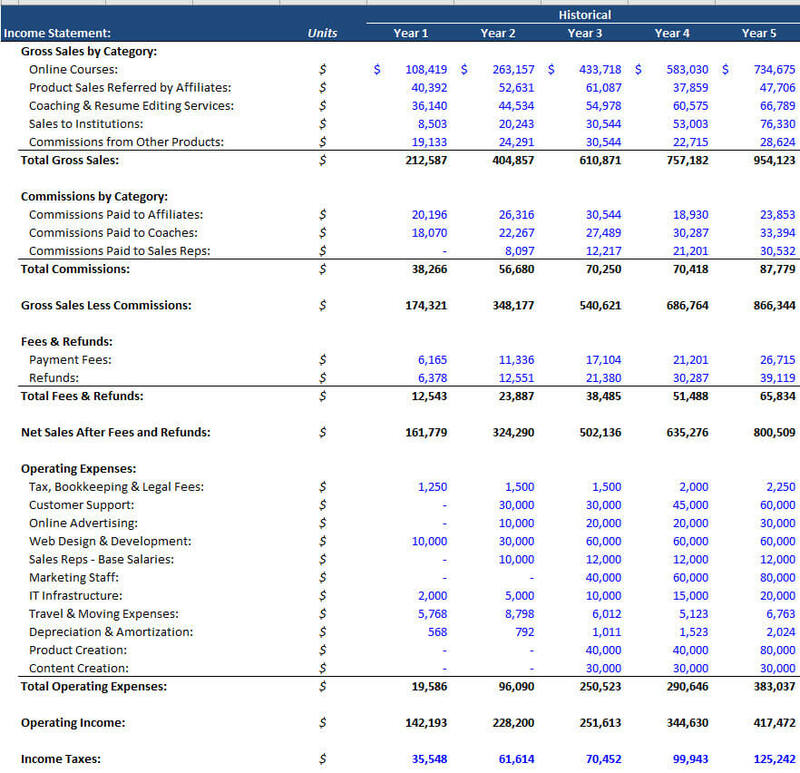 Putting Together All the Pieces of Private Company Valuation: What Does This Mean? The result of all these valuation differences is simple: private companies should be worth less than public companies. It’s easy to understand why Money Businesses are worth less: they’re not real “companies,” and they won’t be around for decades into the future. But even venture-backed startups and large private companies tend to be worth less because of higher risk, less-diverse ownership, and lower liquidity. There may not be a massive difference for huge private companies like Ikea, but there will still be some discount. I’ve described here the “classical” views of private company valuation, but the lines between public and private companies are blurring. It’s possible to buy and sell shares in “private companies” more easily than ever before, and it will get even easier in the future. You might have also seen news reports stating that tech startups are worth less after they go public. If the principles above are true, how can that possibly happen? Have the markets just gone insane, or is there some rational explanation? Thanks for sharing the information on valuing private companies? I just have a question: how to evaluate private acquisitions ( e.g. 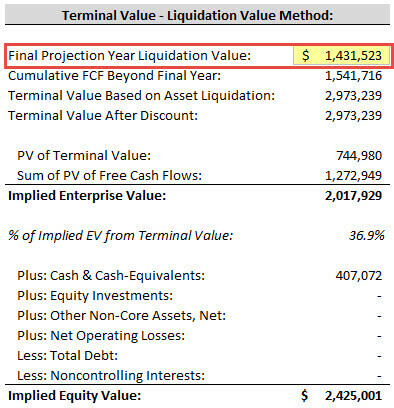 a private company acquires another private company – accretion/dilution doesn’t work because there is no shares outstanding right? so instead of a merger model, what do bankers use? Private companies still have shares… it’s just that their *share price* is not easy to establish because the shares are not publicly traded. This is a common myth/misconception about private companies. So, accretion/dilution still applies, though private companies tend to care less about EPS than public companies. You could also look at a Contribution Analysis or IRR vs. WACC analysis or just complete a simple valuation of the private company (or see if the deal boosts the buyer’s implied value by valuing it before and after the deal). I am not normally writing comments, but your channel is really impressive and knowledgeable. This is excellent channel for learning investment banking and finance. LOVE IT!! Would you happen to know where we can get freely available source online for the “Market Correlation (R^2) for Education Companies:”? Hi there, very useful article. I am a strategy guy, at a mid-sized private tech company, and we’re looking to do more corp dev / acquisitions of small tech startups. Do you have what comes next after valuation, like a merger model or other types of models relevant for small private companies? (I assume accretion / dilution is not relevant in this case). Something super simple would be great – i don’t think the financial details are super important in this case, rather the tech and strategic rational would be more important. We just want to have something basic. We have various examples of private company deals (private buyer or seller in M&A deal, private target in LBO, etc.) in the Excel & Fundamentals course and IB Interview Guide. This is just a sample to illustrate some of the basics. We generally gave away free samples of some of the basic topics but do not go beyond that for obvious reasons (why would anyone sign up for our courses if we gave away everything for free?). I signed up before / was a paying member – do I still have access? Not here yet. Soon. This was a recent article (published only a few weeks before you left your comment). I work in corporate development for a holdings company that is becoming more active in acquisition markets. This article was really helpful for me, as most of my experience deals with evaluating public companies. My question is, we are looking for a database to make the private company due-diligence process easier. Do you have any recommendations on what you think the best databases are for that? We like Pitchbook and Privco, plus have already looked at Hoover’s and Mattermark. The types of companies we typically look at are in manufacturing and transportation, so VC funding data isn’t valuable to us. Thanks for the article and look forward to your reply. I would say Privco and Pitchbook are probably the best, but even there, the information isn’t always spectacular (lots of missing data). Capital IQ can sometimes be useful for private companies as well. The real problem is that you can’t find a ton of useful information on private companies unless you know the owners/managers, and those types of databases don’t solve that problem. Ironically, that problem is one reason why bankers continue to be useful. I find this very relevant to what I’m doing (Analyst for a boutique M&A advisor). We are based in Asia and have to deal with private companies 99% of the time. I am so amazed at how simply you explained private company valuation in such a refreshing and novel way that I am tempted to go through the entire private company modeling course and become an expert in it. In no book it is explained in this fashion. Thanks ! Thanks! Glad to hear it. Yes, please sign up for the full course. :) Let us know if you have any questions. Replied to this blog post’s newsletter, but also wanted to comment this is the best article I came across in this website. I’m putting in my financing resources guide for small business owners. Thanks! Glad to hear it, and thanks for linking to us in your guide. Thanks. We’re unlikely to release an app because it wouldn’t add much; both sites already work on mobile devices.